could turn voters off, write Peter Lewis and Jackie Woods. Tony Abbott is a very black and white sort of leader. He stops the boats. He ends the waste. He cuts the taxes. comes to the budgetary challenge of managing our ageing population. As three-word slogans go, Stop the Pensions doesn't really cut it. comes with a whole set of complicated policy challenges. fighting a war on debt. bodies have had enough by their mid-60s. that wealth when calculating an individual's eligibility for a pension. And to muddy the waters further, older Australians disproportionately vote for the Coalition and are easily upset. aged pension arena is looking decidedly brave. 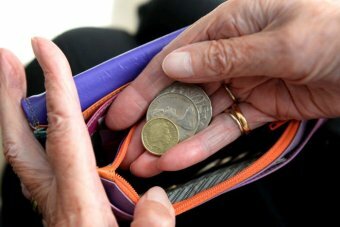 Australians reject the proposition that people should wait until 70 before being entitled to retire on an age pension. value of the family home. In the public mind, aged pensioners are considered the most worthy in the hierarchy of welfare recipients. age isn't just something that happens to other people. and whose retirements public money should be directed towards. highest income earners announced by Labor. Heading towards the budget, the Government is ramping up its entitlement-busting talk. taxpayers' support, aged pensioners aren't among them. The survey was conducted online from April 18-21, 2014 and is based on 1004 respondents. Peter Lewis is a director of Essential Media Communications. View his full profile here. Jackie Woods is a communications consultant at Essential Media Communications. View her full profile here.